If you're interested in keeping your home as cool as possible during the summer, you're going to need to invest in the right appliances to help you achieve your goal. Efficient air conditioners are the key to ensuring that your humble abode is cool throughout this season, as well as energy-saving tips. Here are some additional tricks you can use to make sure that you're never uncomfortable in your own house, even when the temperatures soar outdoors. 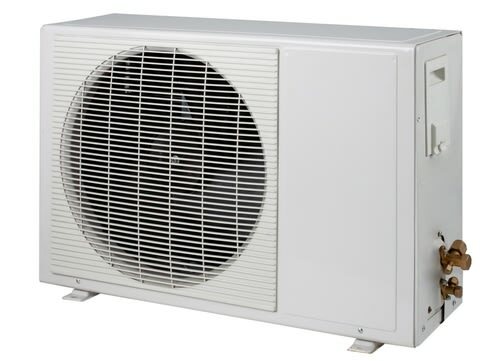 The right air conditioner can make all of the difference when it comes to keeping your home cool. Be sure to look at the British Thermal Units of the models to gauge how much power you need to maintain the temperature of your living spaces, whether you're addressing a small bedroom or large kitchen. Frigidaire models have multiple fan speeds, which give you options when you need to cool down your house. Utilizing a fan in your home can help you spread the cold air throughout the space. This can be more efficient than using multiple air conditioners in several rooms throughout the summer, according to MSN Real Estate. The U.S. Department of Energy recommended weatherizing your home to reduce the amount of cool and warm air that leaves the structure. This means bringing in a professional who can conduct an energy audit and determine where your house is letting out air throughout the year. Sealing drafty areas can help you cool and heat your home more efficiently whether it's the summer or winter, which can yield lower monthly expenses. By taking a combination of these tips into account, you can make it easier on yourself to keep your house comfortable during the year.